The HTC U12+ has been officially confirmed on HTC's European store. The page, spotted by phone tipster Roland Quandt, follows an earlier find of his where the phone temporarily appeared on an HTC test domain. The phone will feature 64GB of storage (there may be other storage options available), dual SIM slots, a 6" screen with no top notch, and a 3,420mAh battery. One colour option will be Ceramic Black, while it appears, from photos grabbed from the HTC test site by winfuture.de, that it will also be available in a burgundy shade – or plum, if you like. 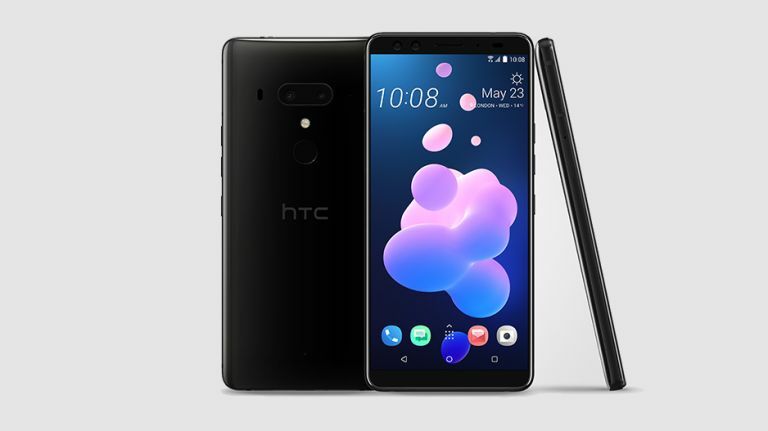 The handset is priced at £699, which is £40 less than the Samsung Galaxy S9, although if you press the pre-order button you'll be met with a message telling you that the "HTC U12+ Ceramic Black (64GB) Dual Sim is currently out of stock". No doubt it'll be in stock soon. In the meantime, head over to our HTC U212+ leaks and rumours page for everything we know so far.